This is a delicious and budget friendly Chicken And Egg Rice Bowl. 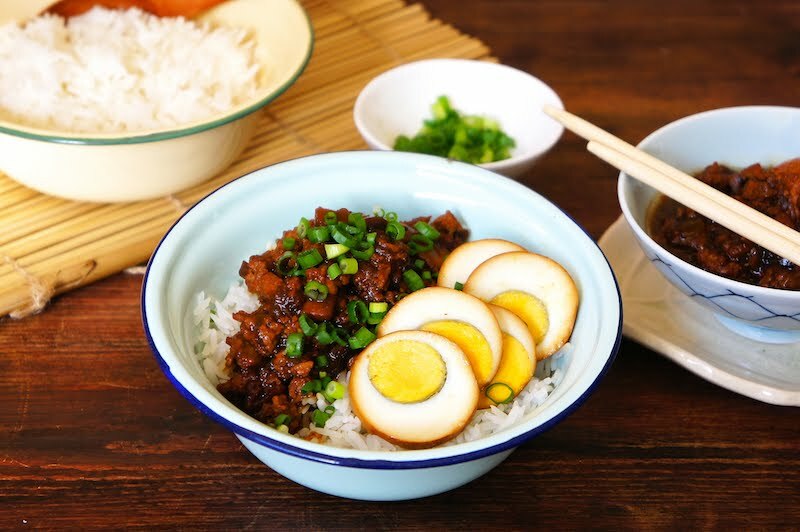 A great recipe that's easy to prepare and all you need is some ground chicken meat, mushrooms, eggs, and some basic Chinese cooking seasonings. Heat the peanut oil on medium heat and sauté shallots, leeks and garlic until fragrant and golden in color. Turn the heat on high and add in the ground chicken. Cook until the chicken are no longer pink in color and stir in the mushrooms. Add in the 5 spice powder, oyster sauce, wine, light and dark soy sauce, and keep stirring until well combine. Then stir in the eggs, and season the chicken mixture with some pepper and sea salt. Do you chop up the hard-boiled eggs before simmering the dish, or do you put them in whole to simmer and then slice them when serving? Simmer the whole eggs, and slice them before serving, if desired. I love the eggs, they're beautiful. I can't wait to make this dish! Nice and simple and full of flavour! Do you happen to know the origins of this dish? 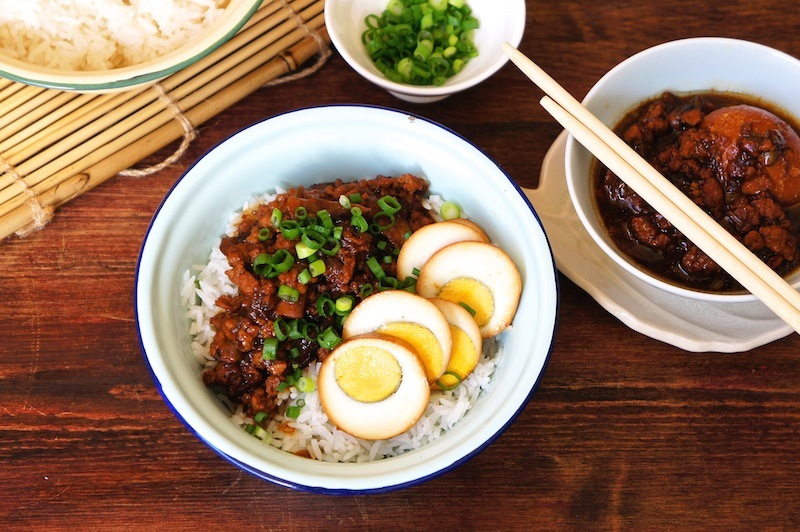 This is a typical Malaysian Chinese home cook dish. There are no specific origins, it can be from China and, etc. Can I substitute the ground chicken with ground pork? If so, do I need to change the cooking time? Yes, you can substitute chicken with pork, and the cooking time should be the same.